“Supply Bank” for Furloughed Federal Workers. Josie Marrujo, a retire federal employee who personally knows how shutdowns hurt families, is working with our local AFL-CIO to provide a Food Bank and Supplies Bank for local working families. DONATIONS TO BRING: Household supplies: toilet paper, paper towels, diapers, soap, feminine hygiene supplies, cleaning supplies, laundry detergent, pet food, etc. All those things families need beyond food. Food for the families is coming from Roadrunner Foodbank, so let’s all help fill in with all the other needed supplies. FMI or to donate money ahead of the event, contact Josie Marrujo at 505-615-9438. 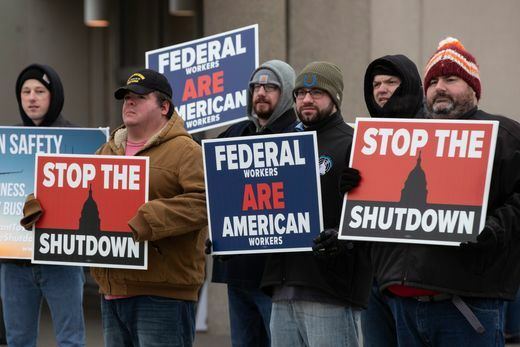 Remember, even if the shutdown ends, these families have been without a paycheck for OVER A MONTH! Let’s all help our Sisters and Brothers who are federal employees and their families.